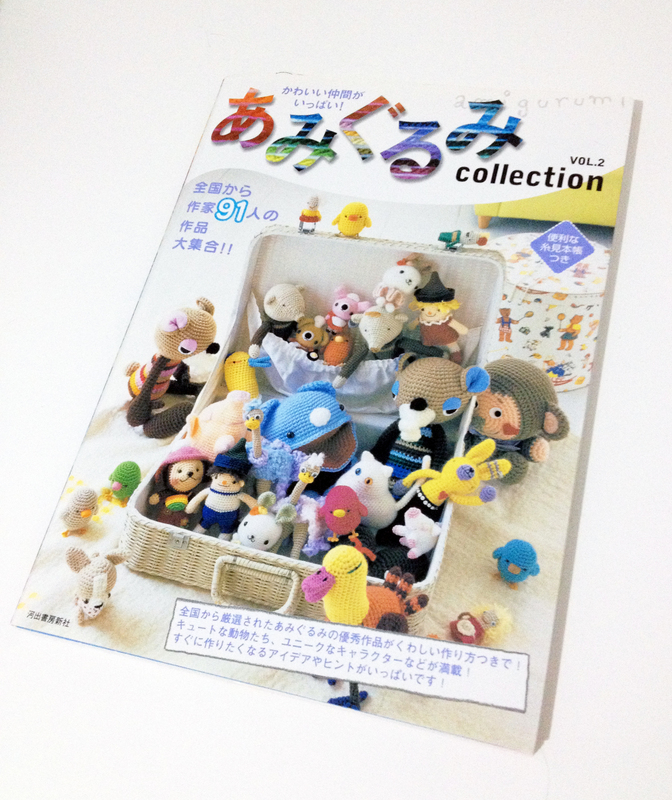 This pattern is from a Japanese book dubbed by English readers as “Japanese Amigurumi Collection Volume 2”. It’s available via etsy.com or ebay.com. 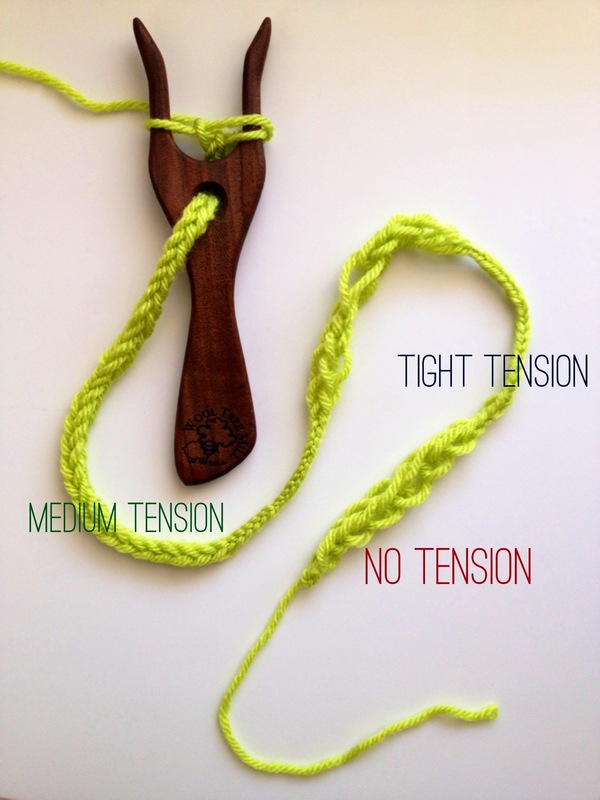 The charts are fairly easy to follow if you have some previous ami making experience. I love that it is a great “blank canvas” pattern that you can adapt to make into any kind of cat you want. April 21, 2013. 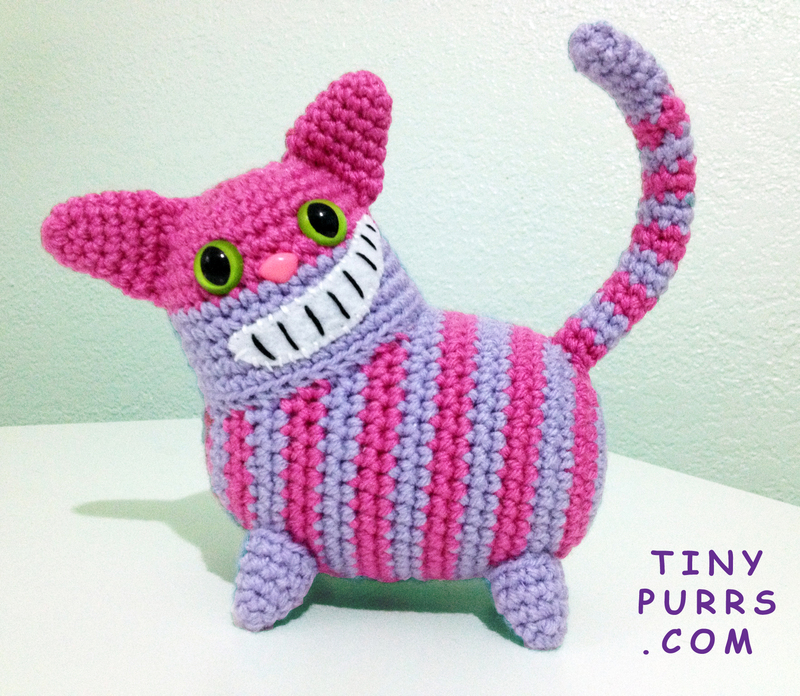 Tags: alice in wonderland, amigurumi, cheshire cat, japanese. Projects. 1 comment. Check it out – my Yub Nub Scoodie pattern has been featured by the good folks at geekcrafts.com! 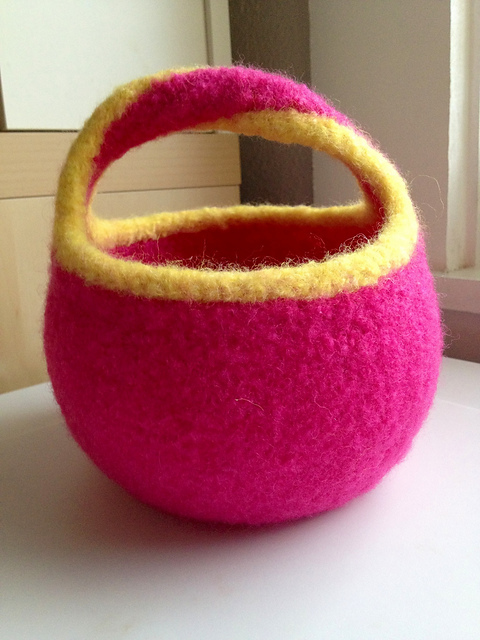 Also, congrats to Cynthia who won this lovely felted moebius basket from the February giveaway! April 1, 2013. Stories. 3 comments. I finally caught the felting bug. For years, I never understood why people would bother to knit something huge, only to have it shrink into something small. It always seemed counterproductive to me. If you want a small thing, knit a small thing. It’s faster. Now that I’ve caught the bug, I realize I completely missed the point. Felting wool is magical! Felts transform to create wonderfully sculptural pieces that are thicker and more durable than their unfelted counterparts. Felted bags and baskets won’t let your pens and needles stick through, so you don’t have to line them. Your delicate wool normally too weak for daily use becomes more hardy and long lasting. Here are some results from my recent felt adventures. First, the Lucy Bag – it’s styled after Japanese Knot Bags (love!) and is totally addictive knitting. I’ve made two so far and had to force myself to take a break to finish other projects promised to people. Otherwise I’d probably have a few more by now. This great stash-busting bag closes itself so no zippers or other fussy finishes are needed. 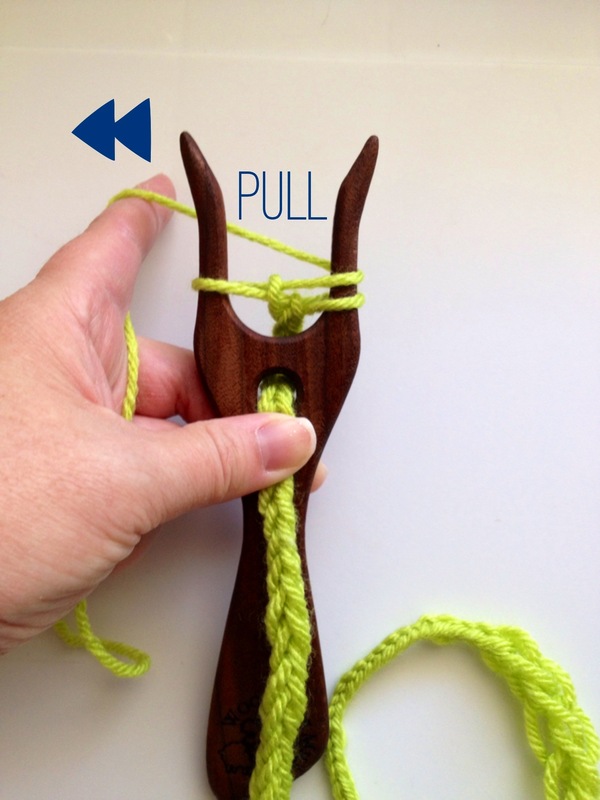 This isn’t the easiest pattern to find, but you can order it here from Blackberry Ridge Mill. 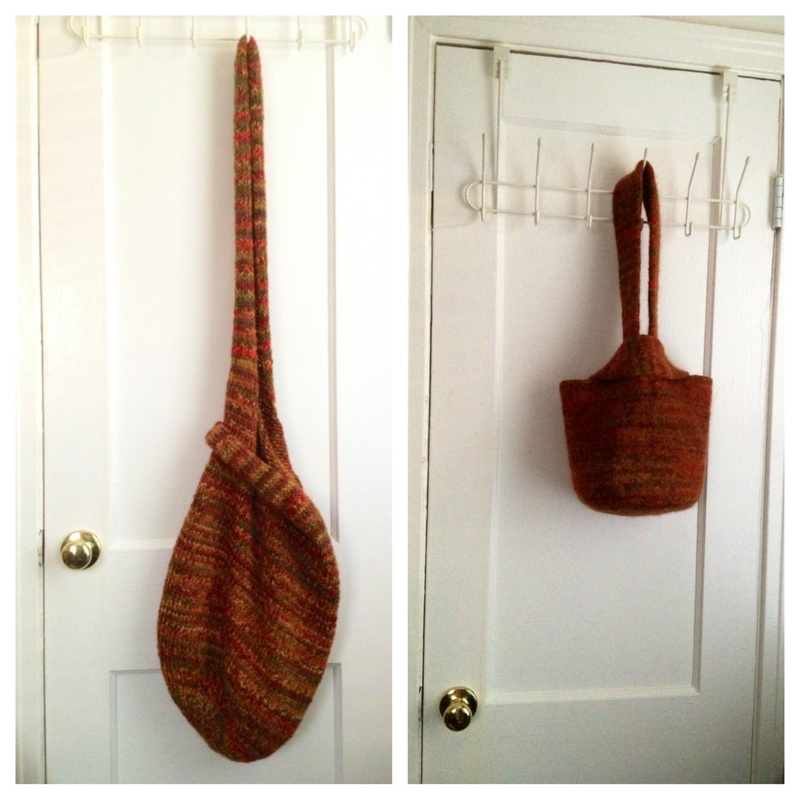 The orange bag was knitted with Twilleys Freedom Spirit Chunky yarn (bulky). 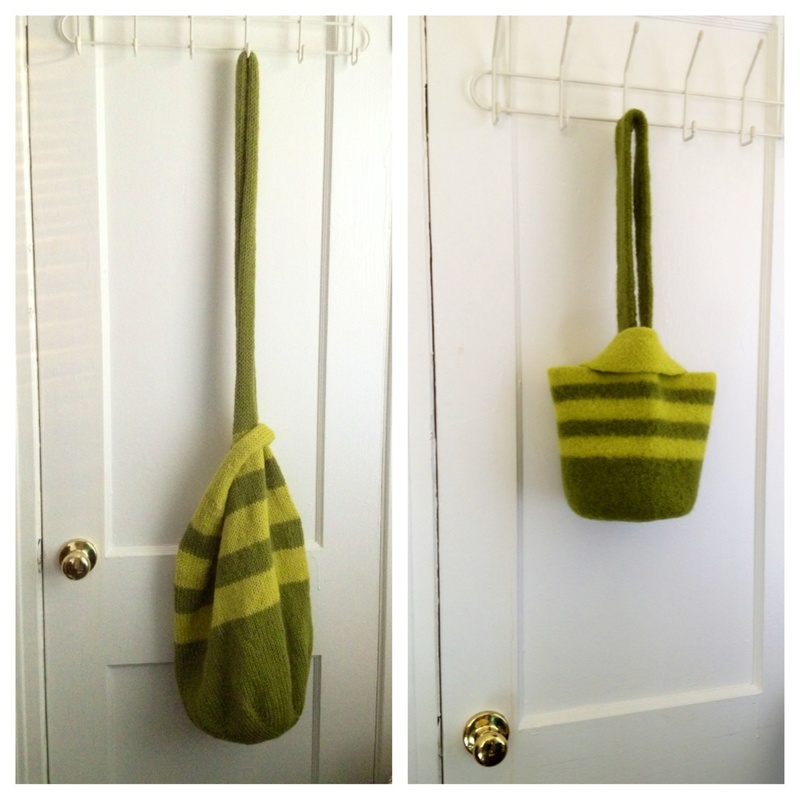 The green bag was knitted with Patons Classic Wool (worsted). Both of these are great feltable yarns that create completely opaque and firm fabric. Next, I made this Moebius Basket by Cat Bordhi. Cat’s moebius patterns are a little intimidating at first but completely satisfying once you get past casting on. This video is extremely helpful to get you started. 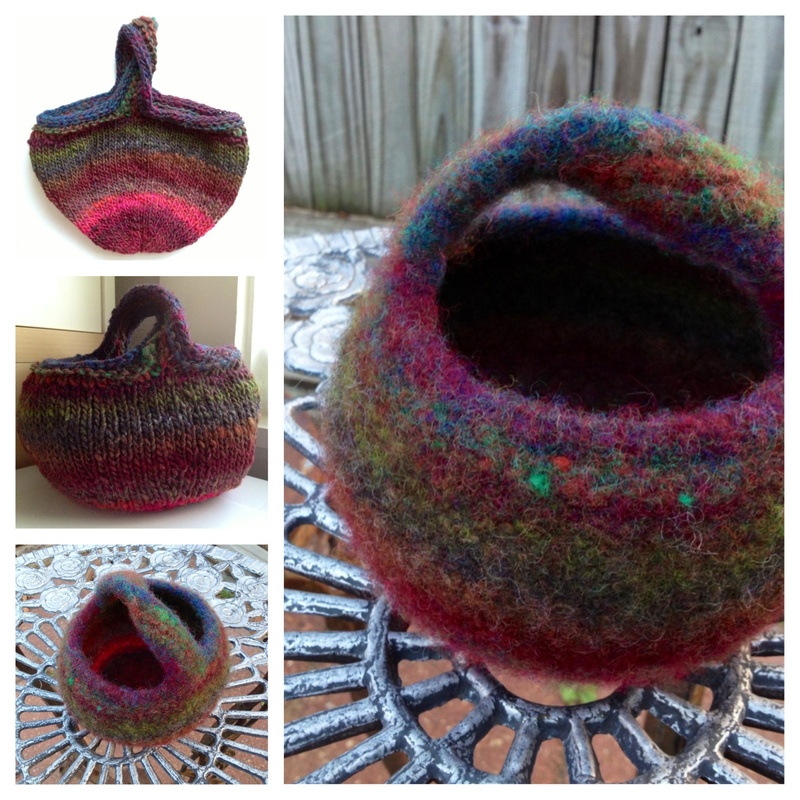 I used Noro Kureyon yarn which felted into a soft, colorful fabric. The basket holds it’s own shape but just barely. I can still see through the stitches when the basket is held up to the light. I plan to try this project again with a firmer felting yarn. This yarn might be more suitable for something you want to be soft and flexible, like slippers, rather than a more sculptural piece that needs structure. What are your favorite and least favorite felting yarns? 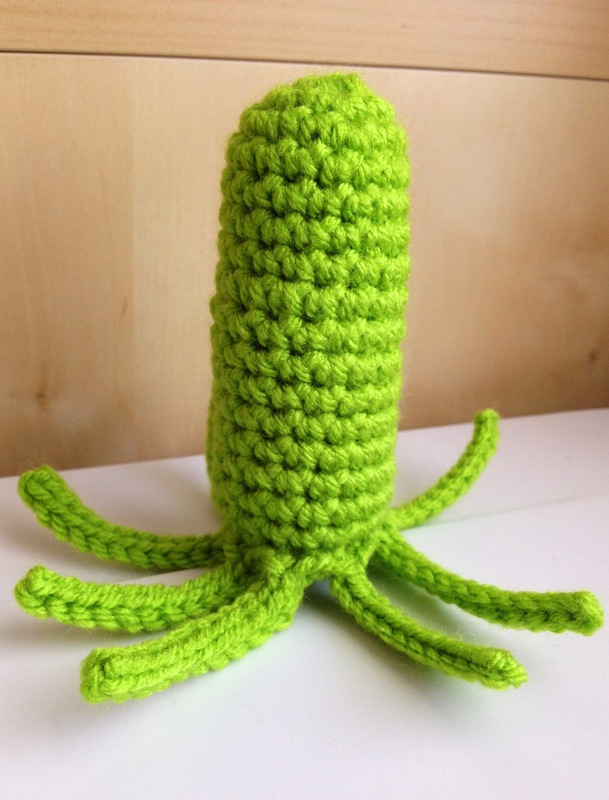 What are your favorite felted projects? 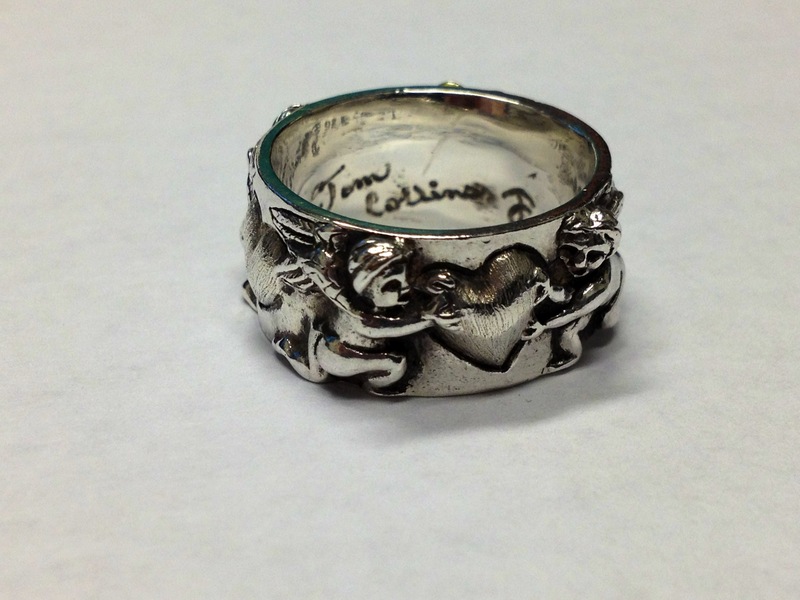 Leave a comment on this post between now and the end of February (2013) to enter to win a surprise felt! February 9, 2013. Tags: cat bordhi, felt, lucy bag, moebius basket, prize drawing, wool. Projects. 6 comments. I came late to Firefly fandom. Initially, the name of the series and the western themes didn’t appeal to me, but I was eventually convinced, against my stubborn nature, to give the show a try. And WOW! I was completely hooked. As a small tribute to fans of the short-lived series, I adapted Kristy Ashmore’s Lip Balm Cozy into a Jayne Cobb hat. It’s a great, quickie gift for the super geek in your life. Not a fan of lip balm? The hat can also be used as a pencil topper or ornament. 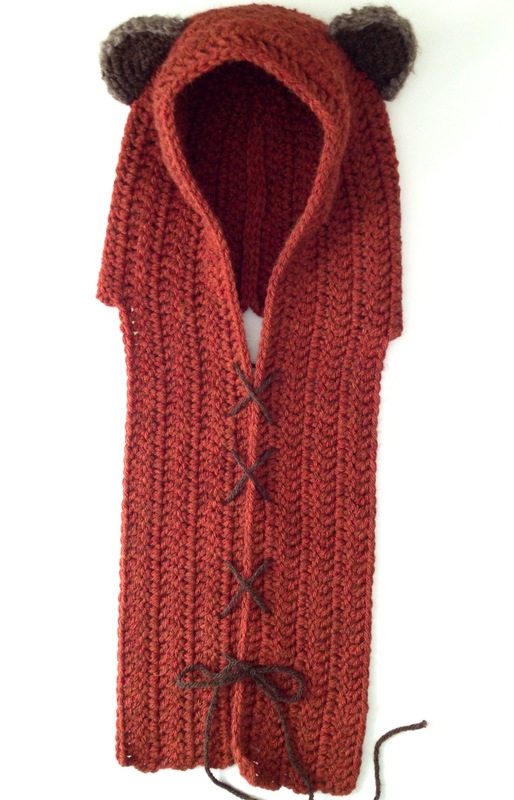 Download the pattern for free on Ravelry. 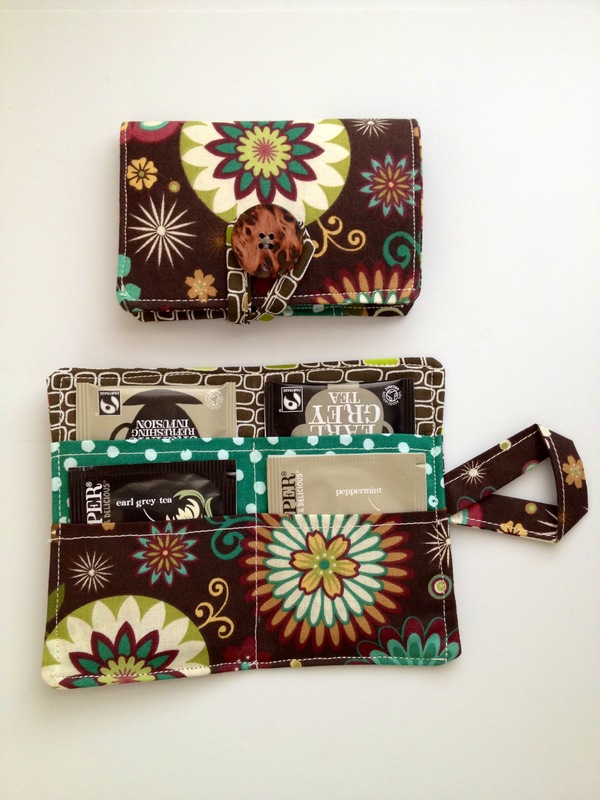 And special thanks to Kristy for permission to post this variation of her original pattern. January 5, 2013. 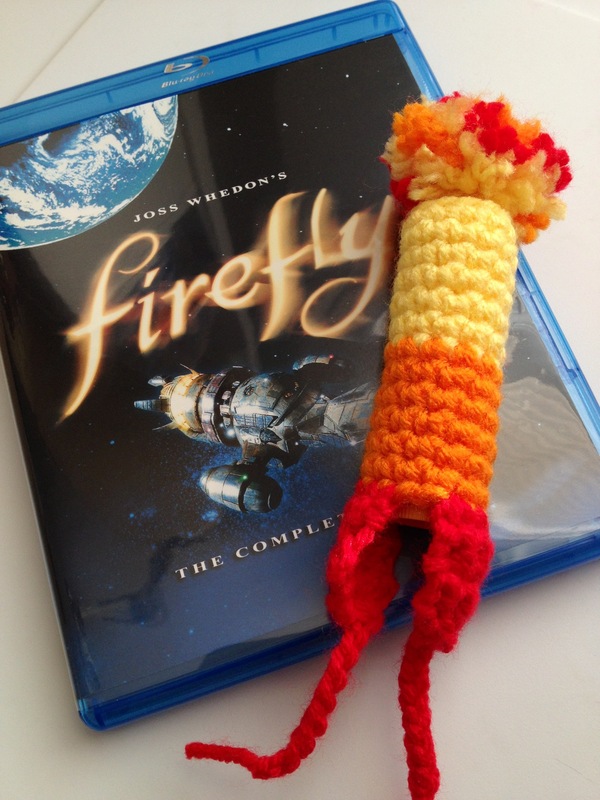 Tags: Firefly, Free Pattern, Jayne Cobb, lip balm cozy. Crochet Pattern. 2 comments.